It’s a little ironic. 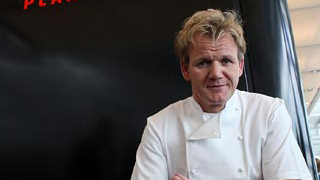 Despite spending a decade helping to create them, celebrity chef and potty-mouth Gordon Ramsay has issued a blanket condemnation of airline meals. The restaurateur and TV chef claims that in-flight food is unhygienic and says that he is careful to always eat a snack before he boards. Ramsay spent years on a panel of international culinary experts that advised Singapore Airlines on its in-flight catering. But he says the experience has put him off eating airline meals for life. Ramsay did not say whether his attack applied to the food on SQ, which has not responded to his comments, according to The Times.